A revised model (Mk II) was introduced in October 1981, with the major change being the introduction of an additional body style with a steep (almost vertical) rear window, as well a version with a diagonal rear window and a similar profile to the previous model. These two body styles were called the Wagon and Coupé respectively, although in fact both were three-door hatchbacks. The sedan version was no longer called the Derby in all countries, and was changed to the Polo Classic. Production was expanded to Spain in the mid 1980s following Volkswagen's takeover of SEAT. 1093 cc or 1272 cc engines were available at launch. 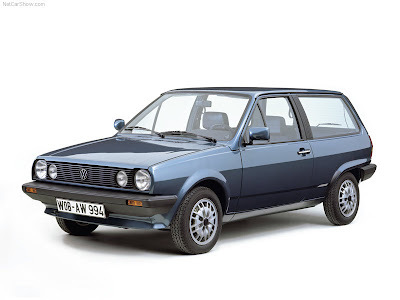 In 1986, the Polo received numerous technical improvements; amongst many other minor updates, the engines were changed to lower maintenance hydraulic tappets, new camshafts and valve gear and an automatic choke; the 1043 cc engine replaced the 1093 cc, and in some markets the 1.3 L engine was available with fuel injection and equipped with a catalytic converter. 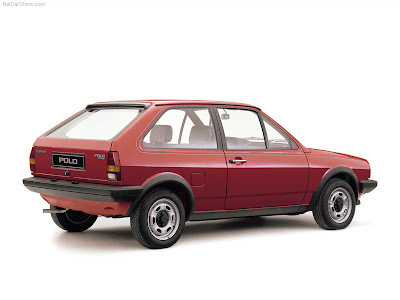 In 1984 an all-new 1.3 L engine was introduced, which was used in various generations of Polo until 1996. Available with the 1093 cc engine the "coupé" featured additions such as sporting seats trim, wheel arch extensions, rear spoiler, low profile tyres and a rev counter. The GL featured a 60 PS (44nbsp;kW) engine. 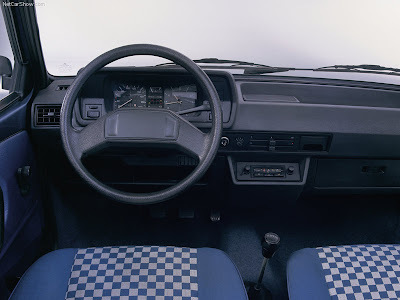 In 1985, the first sporty Polo, the Coupé GT, was introduced with a 75 PS (55 kW) engine, as well as servo assisted brakes, twin headlights, a digital clock, sports seats and a rev counter. Other special feature models were introduced over the rest of the period of the Mk II production run including models such as the Twist, Parade and Country. The Mk II Polo was used extensively by Volkswagen to develop future innovations, for example supercharging. The supercharger-equipped GT G40 version was introduced in 1987, in LHD Coupe form only, first as a limited batch of about 500 cars, most of which were sold to VW workers (as a homologated version of the car for the G40 Cup race series) and later as a normal production version. This model featured the 1272 cc engine with a small bore G-Lader supercharger, giving 113 PS (83 kW) at 6000 rpm, as well as modified suspension and the bodywork of the "normal" GT Coupé. The car could reach 100 km/h (62 mph) in 8.1 secs from and had maximum speed of 196 km/h (122 mph) it was used by VW to set a number of world endurance speed records — such as the 1300 cc class records for speed over 24 hours and speed over a distance of 5000 km. A G-supercharger would later be used on the larger and more technically challenging G60 engine used in the Golf and Corrado. An extremely fuel efficient 2-cylinder diesel was prototyped in the mid 1980s with a G40 supercharger to overcome its small capacity, although this did not make production. A high fuel efficiency model which did make production was Formel E (E for Economy), introduced in 1983. This used a high compression 1272 cc engine, longer gear ratios and an early stop-start ignition system (called SSA) that would cut the engine when idle for more than two seconds to save fuel whilst temporarily stopped in traffic, and re-start the engine on moving the gear lever to the left in neutral. The system could be disabled by means of a toggle switch below the light switch to enable the system. Similar system were later used on the Mk III Golf and various systems from other car manufacturers.